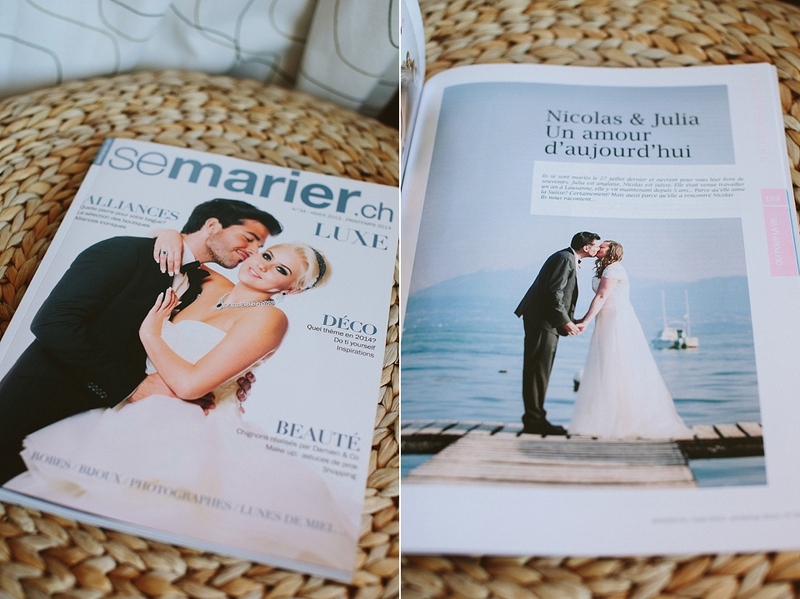 Nicolas and Julia's steamy hot summer wedding by Lake Geneva in Morges was featured in the latest edition of Semarier.ch. Julia describes their fabulous love story from the moment she arrived in Switzerland to a Moscow proposal to their ceremony in Morges. With lots of good advice about choosing a wedding planner and the importance of hiring a professional photographer to make the most of your wedding day, without the stress of working with amateurs. The couple chose to take their engagement session in their home town of Morges too, and we spent a lovely evening exploring the colourful Parc de l’Indépendence before heading to the port and then the bar! Their wedding took place in the very glamourous Temple de Morges followed by cocktails on the lawn of the Fleur du Lac, Morges. We took their couple photos by the lake and in the hotel gardens as the sun began to dip down. The beautiful table decorations in red and white were the perfect setting to their reception dinner at the hotel and they danced on into the small hours. After the wedding they chose a luxury fine art Storybook album to keep all their memories safe and Nicolas' mum ordered her own version as well as one for grandma! She told me that there was no better memory of the day for her and I was so happy to help her design something bespoke. 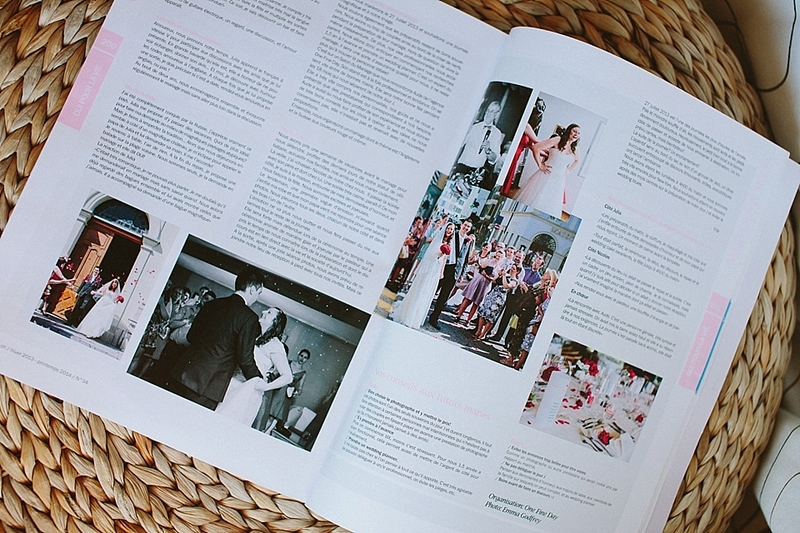 There is nothing quite like a professionally designed and printed wedding album, as Julia says herself: "If I'm having a bad day I get out our wedding album and it cheers me up!!!" To see more Morges wedding photography, hop on over to my blog to see local weddings and to browse my wedding portfolio.